Did you know you can now order your Just Eat takeaway from Lucianos Pizza here on View? 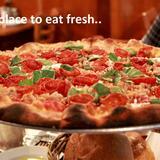 Lucianos Pizza serves pizzas and also many other kinds of Italian dishes. Service is good quality and the restaurant has a relaxed and chilled atmosphere. Do you work at Lucianos Pizza? 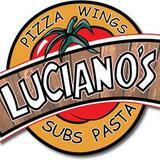 What did you think of Lucianos Pizza? Love the pizzas at Lucianos. The staff are very friendly and the whole atmopshere puts you at ease. A good dining experience!! Staff are always charming. Food is great - they make the best chips in Selly Oak by far! Staff always charming and friendly. Their chicken burger and chips are also DELICIOUS! Without doubt the best takeaway food in selly oak! worst costumer service ever! i ordered 5 pizzas from them 3 were wrong they refused to change them and hurled abuse down the phone to me and my friends i wouldn’t give them a star rating avoid at all costs!